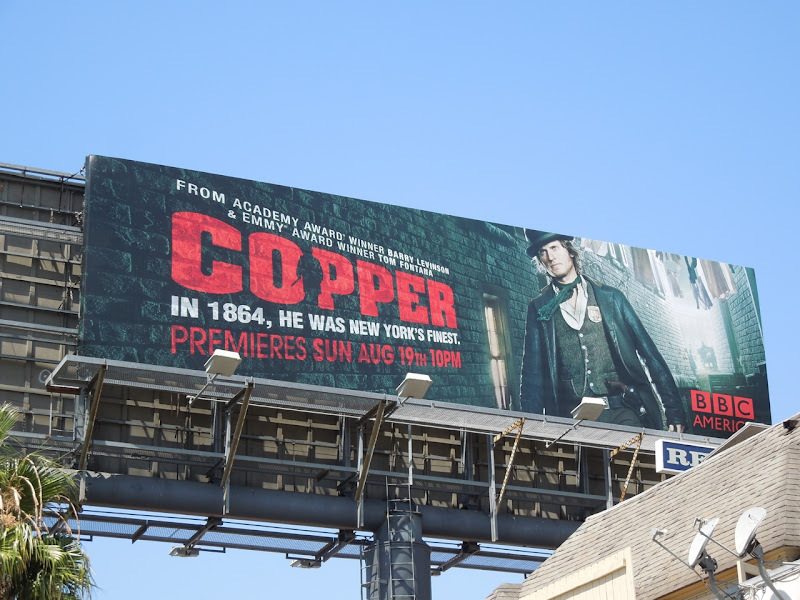 There's lots of cop shows around, and some even have fairytale monsters like Grimm, but not too many of them are set in 1860's New York City. 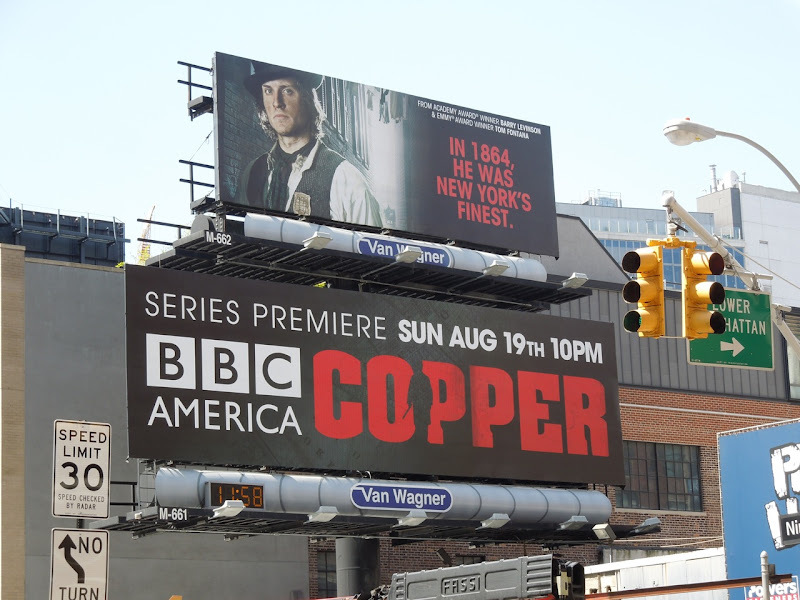 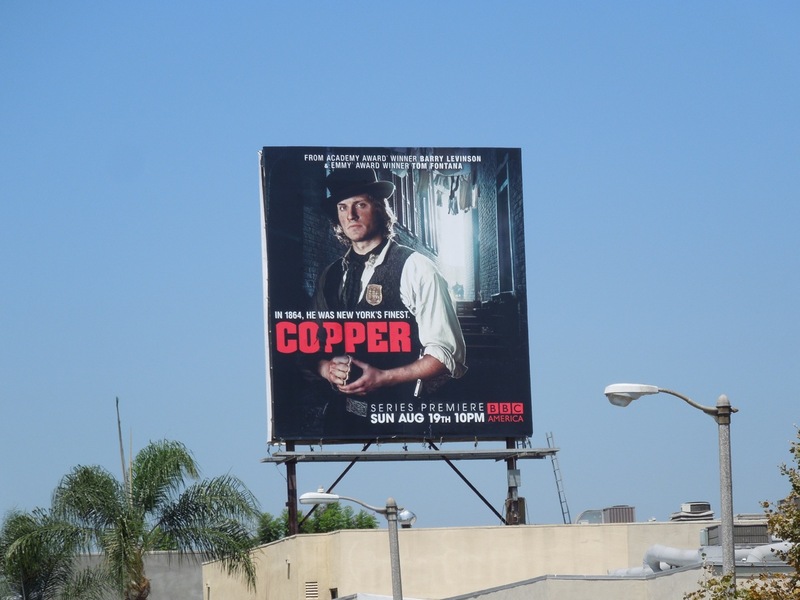 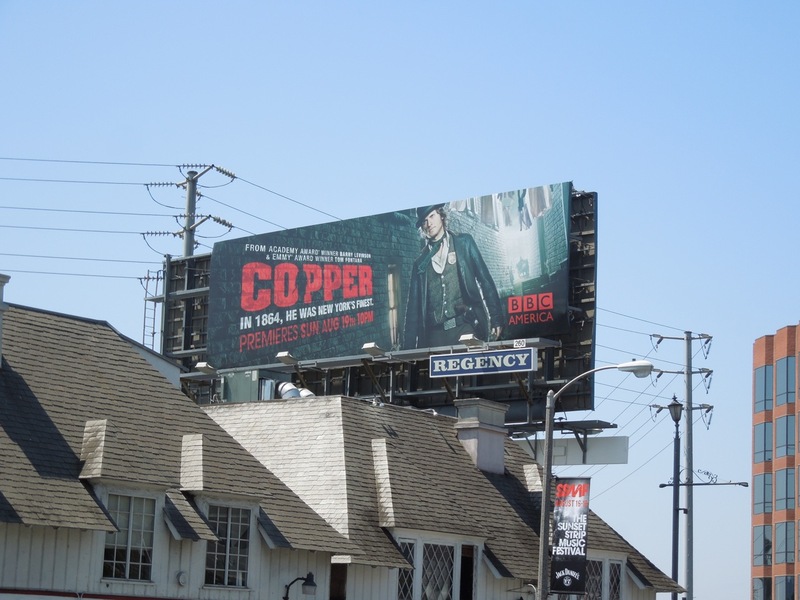 Introducing Copper, BBC America's first scripted TV series that hasn't been broadcast in the U.K. first, which follows the exploits of an Irish immigrant policeman called 'Kevin Corcoran' in the aftermath of the American Civil War in the Five Points neighbourhood in NYC. 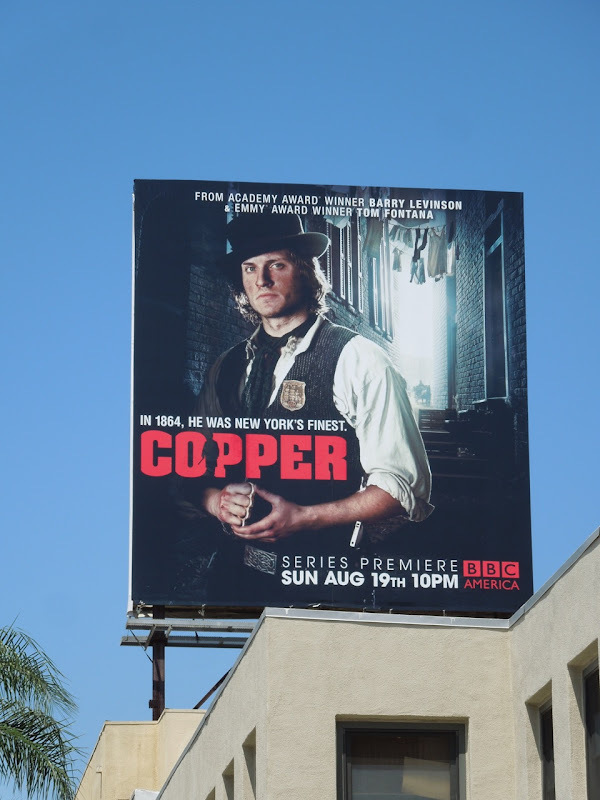 Tom Weston-Jones stars in this new twist on the crime show genre as the titular Copper. Making for evocative visuals, these striking billboards were snapped along Beverly Boulevard and Sunset Boulevard on July 24, 2012. 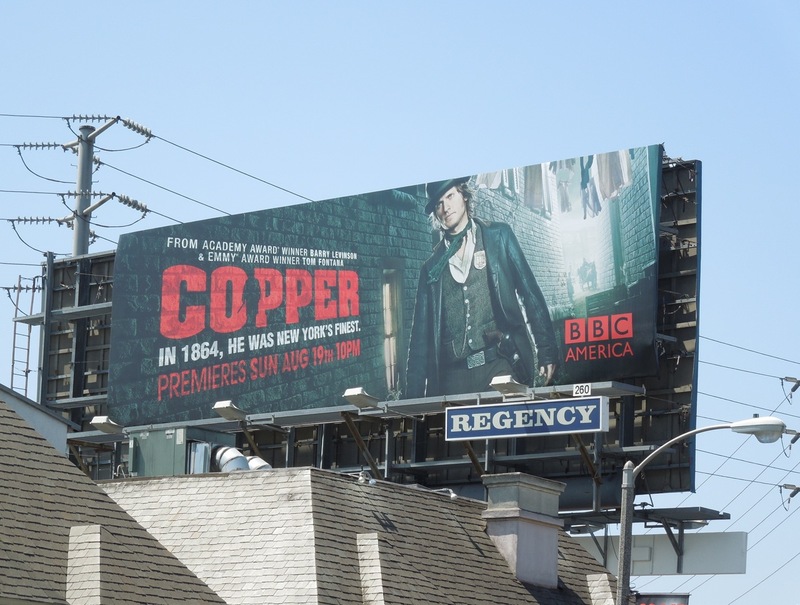 For more BBC America TV ads, be sure to also check out this Top Gear billboard and these Doctor Who billboards from around L.A. 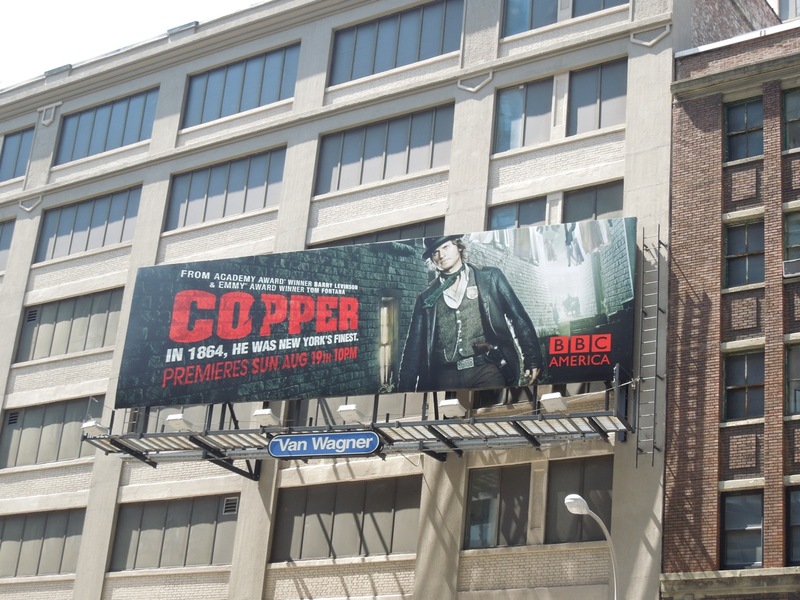 UPDATED: It seems only proper that as Copper is set in New York, albeit the Big Apple of the past, that there should be some billboards from around Manhattan's mean streets. 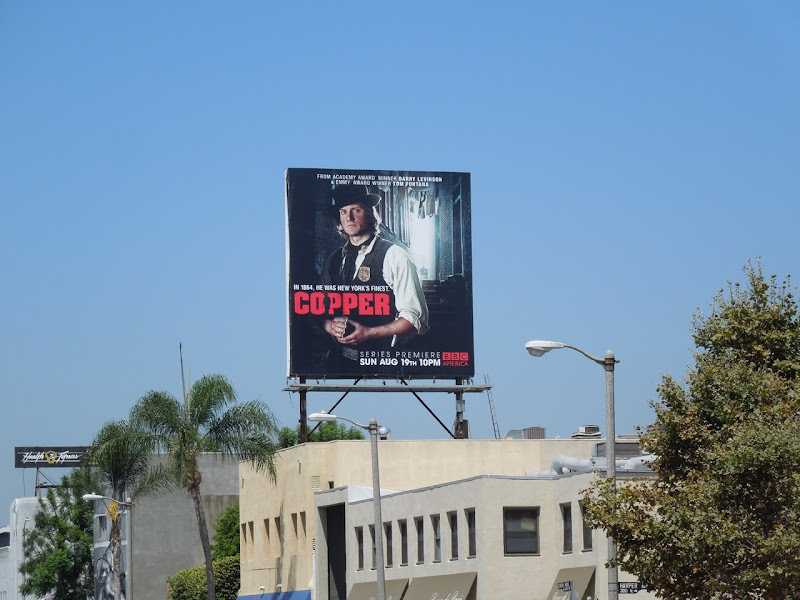 Your wish is Daily Billboard's command. 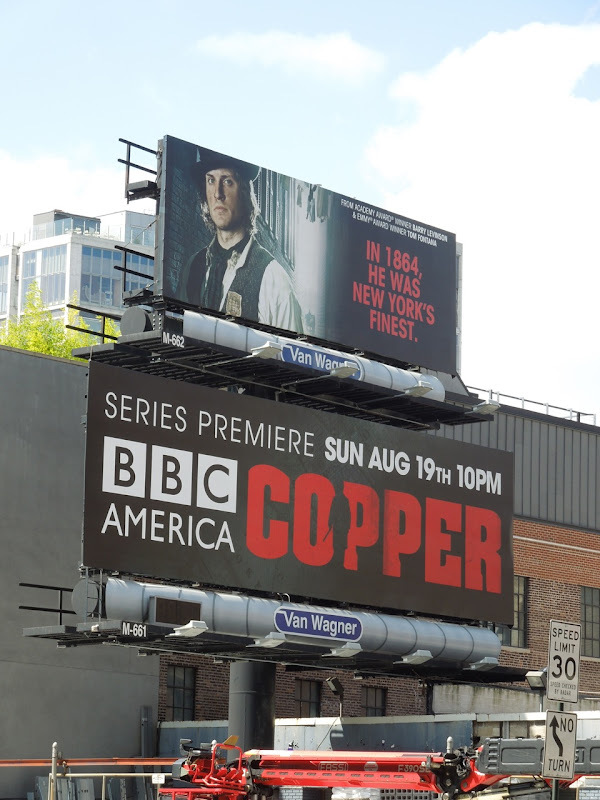 These billboards for the BBC America crime drama were snapped in the Meatpacking District and along Varick Street on August 28, 2012.